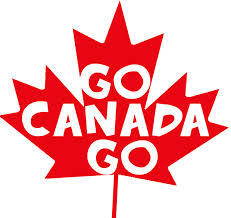 OM VISA Consultancy - Global Immigration, Students, Visitor, Business & Work VISA Consultants: OM International presents to you Canada PR VISA New Option, SINP - Sasketchewan Immigrant Nominee Program : One can apply without JOB offer, if you score 60 points, People falling in Demand occupations can apply. 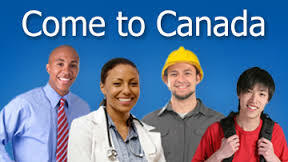 OM International presents to you Canada PR VISA New Option, SINP - Sasketchewan Immigrant Nominee Program : One can apply without JOB offer, if you score 60 points, People falling in Demand occupations can apply. I. What is the SINP? The Saskatchewan Immigrant Nominee Program (SINP) is an immigration program, administered by the province that operates under an agreement with the federal government. 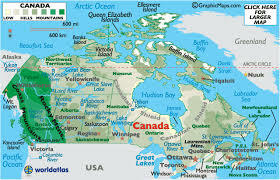 This program can provide a quicker means of entry into Canada; it allows Saskatchewan to nominate applicants to the federal government for permanent residence. Apply online to the SINP for nomination.  the SINP reviews your application; and,  if approved, the SINP will:  send a nomination certificate to Citizenship and Immigration Canada (CIC); and,  send a nomination letter to you explaining how to submit an application to CIC. Step 2: After receiving a nomination from the SINP, apply to the CIC Centralized Intake Office (CIO) with your SINP nomination for permanent residence. View CIC’s application process for permanent residency for provincial nominees.  CIC considers your application after they receive the nomination certificate from the SINP; and,  CIC conducts health, security, and criminality reviews and verifies other inadmissibility provisions in Immigration and Refugee Protection Act (IRPA) before issuing permanent resident visas to you and your accompanying family members. 5. Have proof of settlement funds and a settlement plan. Nomination Limit and Application Intake Thresholds Please be advised the SINP is subject to a nomination limit set by the federal government. The ability to be nominated is affected by these constraints as well as program criteria. No application is guaranteed to be accepted and/or nominated. The International Skilled Worker – Employment Offer Sub-Category is still accepting applications. The Saskatchewan Immigrant Nominee Program (SINP) has application intake thresholds to improve program efficiency. The SINP will accept a maximum number of applications in each category in each calendar year. The category application quota will be posted online and updated with remaining availability on a quarterly basis. When the category reaches the intake threshold, the website will be updated immediately and no further applications will be accepted. *Applications to the Entrepreneur Category criteria are selected based on an Expression of Interest system. Please see the Application Guide for more information. Please be advised the SINP is subject to a nomination limit set by the federal government and application intake thresholds. The ability to be nominated is affected by these constraints and program criterion. No application is guaranteed to be accepted and/or nominated. Call 9227656606/16 for more details on MORE options across the WORLD.